Travel to Hawaii for the best Oahu scuba diving tours! Try beginner scuba lessons in Honolulu and dive into the flourishing underwater world of Waikiki. We offer first time Oahu scuba diving for beginners, PADI scuba certifications and Honolulu scuba diver Shipwreck Tours that are fun and exciting! Take scuba lessons in Honolulu for PADI certification and conclude for yourself why scuba diving in Hawaii with Rainbow Scuba Hawaii is so amazing! Checkout the lowest Honolulu Scuba Diving Prices here in Hawaii. Discount - Honolulu Scuba Reservations online. Save now and reserve your scuba dive in Hawaii with us to experience the best Honolulu scuba diving! 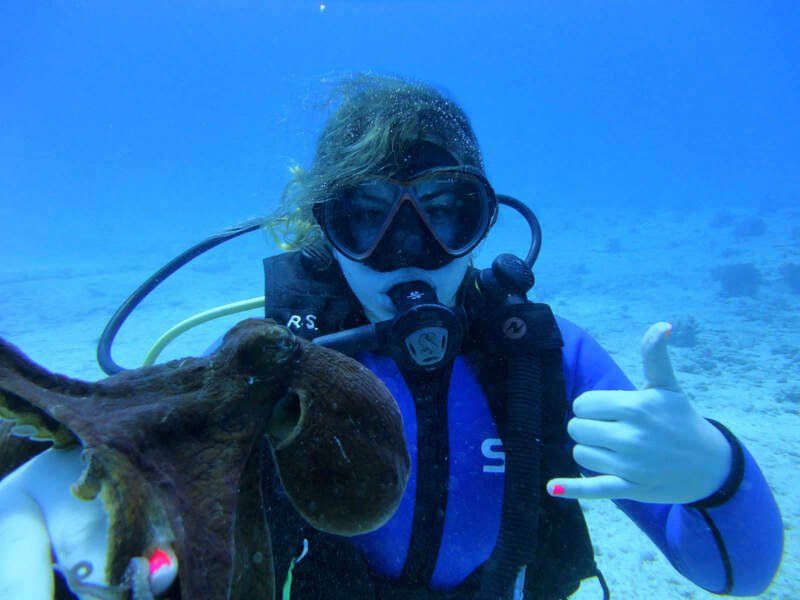 Click on above pictures to see all the excitement and why our Oahu Diving tours are the best! 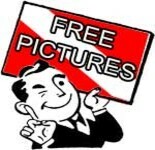 We provide Free Underwater scuba dive pictures! 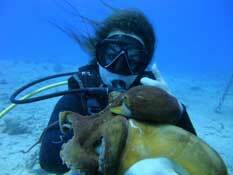 Yes, free underwater photos while your scuba diving in Honolulu with Rainbow Scuba Hawaii. We are professional divers and consider your safety while scuba diving in Honolulu our top priority, but we also feel you deserve a memento of your Oahu scuba dive adventure with us! Hawaii scuba diving pictures 2019. 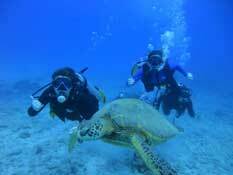 Why SCUBA Dive with Rainbow Scuba Hawaii? We often are asked about our Honolulu scuba company or dive shop in Honolulu. As the owner/operator of our Oahu dive boat we limit our group sizes to no more than 6 onboard. It's a unique dive boat in Honolulu because of this, most boats bring out group sizes of 20 - 30 onboard. Why dive with a company that doesn't own a boat or uses a cattlemaran jammed full of 30 divers? Smaller size groups equate to increased safety and greater fun! Our PADI Instructors have been scuba diving in Honolulu seven days a week for over 18 years! Local knowledge of the Hawaiian dive sites is crucial if you want to encounter marine life. Our experienced instructors have a 100% Safety record, ensuring a safe, fun underwater adventure in Hawaii. Our Honolulu dive shop only offers First time scuba divers, PADI scuba courses and incredible Oahu scuba diving tours. By working from our private dive boat and not a true dive shop, we ensure you the lowest Hawaii scuba diving cost with no pressure of buying scuba gear.